Why keep your vision locked inside? Bring style outdoors with our exterior ceilings. Created specifically to withstand extreme weather conditions, a Hunter Douglas exterior metal ceiling boasts extreme strength and durability all year round. Exterior ceilings are specially developed with the same aesthetic appearance as interior ceilings and a wide range of systems provides the architect with a high degree of design options. 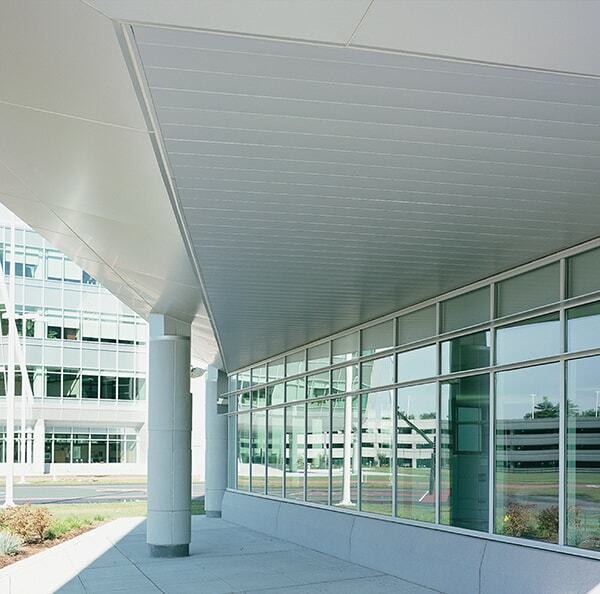 WHAT ARE EXTERIOR METAL CEILINGS? The Hunter Douglas range of exterior metal ceilings, are specifically designed to withstand harsh conditions. Attached to rigidly suspended carriers, designers can have every confidence that the ceilings are structurally sound. 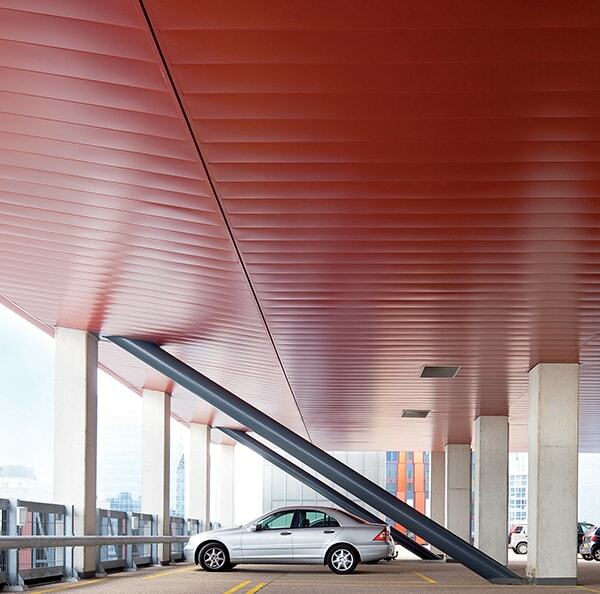 Perfect for a range of applications, exterior metal ceilings are the perfect solution for environments such as car parks, stadiums, and providing a covered outdoor area. At Hunter Douglas we believe in design flexibility, hence our extended portfolio of exterior metal ceiling variations. Our range includes linear closed, linear open and open and wide panel ceilings, all of which can be created using a range of configurations. Let your imagination run wild with the Hunter Douglas range of exterior metal ceiling systems. We offer a wide of colour choices to match our extensive range of ceiling systems. Please contact us for more information about the colours and special finishes that we offer. All of our exterior ceilings, receive a Luxacote® Exterior Coating to enhance the ceilings strength and durability. This exclusive Hunter Douglas innovation is constructed of 3 powerful layers of –pre-treament, primers and a UV and scratch resistance topcoat. Hunter Douglas Metal ceiling panels are classified incombustible and will therefore not contribute to possible fires. Where a ceiling is required to protect the structural integrity of the building, Hunter Douglas Ceilings offer a range of practical and tested solutions with regards to fire resistance and fire stability. Further information is available on request. 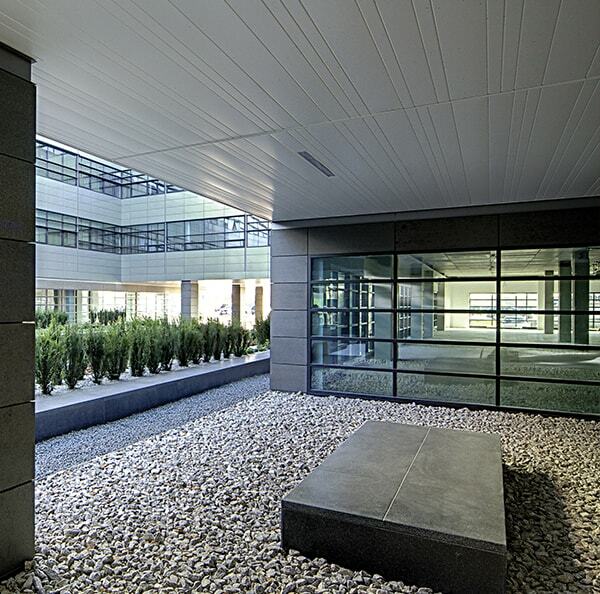 Be inspired on our project gallery with exterior metal ceilings. Click on the photo for more information. Use the filters below to browse our full selection of Exterior Metal Products.